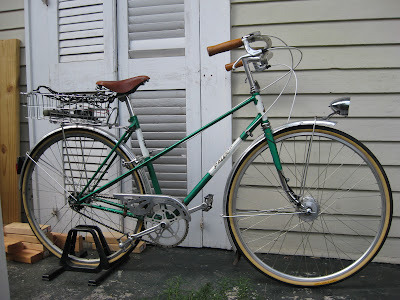 The wife's 1978 Raleigh Super Course II. I got it as a frame, fork and headset and built it up thusly. Sturmey-Archer AW three-speed hub, modern S-A front generator/drum brake hub. Both with wingnuts!